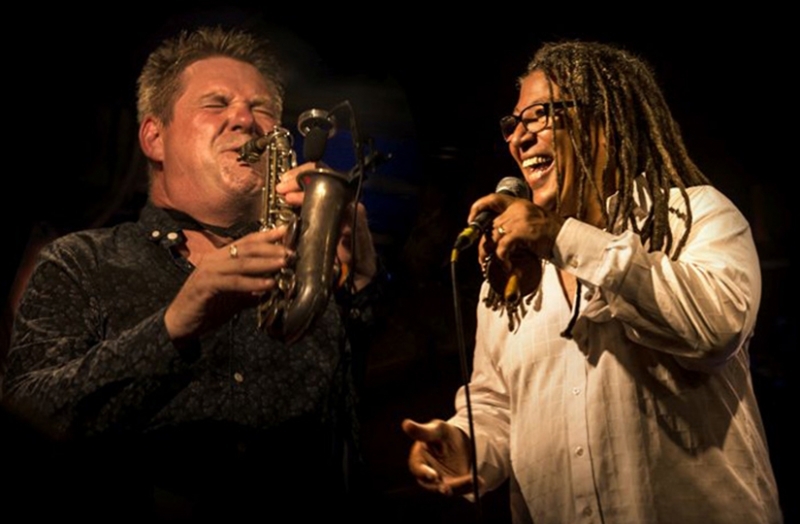 Well, this is pretty special, two of the UK's finest musicians, saxophonist Derek Nash and singer Noel McCalla, coming together to celebrate the music of one of the greatest singer/songwriters of all time, what more could you ask for! An award-winning saxophonist, Derek Nash is perhaps best known as one of the featured saxophonists with the Jools Holland Band, leader of the enormously successful “Sax Appeal” and co-leader of the funk/groove outfit “Protect the Beat”. An experienced musician of many years standing his muscular, fluent, modern jazz playing has been recognised with numerous awards, including “Best Jazz Ensemble” and “Best Jazz CD” as well as being voted one of the top 5 saxophonists in the country. And if all that wasn’t enough he is also highly regarded as a recording engineer, producer and arranger, with a client list that includes Annie Lennox, Alison Moyet, Lulu, Kylie Minogue, David Sanborn, Martha Reeves and many more. Noel McCalla first came to prominence in the mid 80’s with the seminal Jazz/funk band Morrisey/Mullen while also providing vocals on Mike Rutherford’s highly acclaimed album “Smallcreep’s Day”. Forming his own band “Contact” in the early 80’s (subsequently renamed “McCalla” 10 years later), he released the brilliant album “Push and Pull”, followed by the equally great “Hot from the Smoke”. From the early 90’s, for more than 19 years, Noel’s searing, soulful vocals were featured with the iconic Manfred Mann’s “Earth Band”, but more recently Noel has moved away from his globe trotting exploits with Manfred to form several new bands of his own (as well as now working regularly with our very own 606 Club Gospel Group)! These two remarkable musicians, along with a stellar band that includes Neil Angilley (Vanessa Mae, Down to the Bone) on piano, Jonathan Noyce (Jethro Tull, Gary Moore) on bass and Nic France (Dave Gilmour, Bill Withers) on drums, will be bringing to life some of Stevie's most popular offerings, along with some of his equally great but lesser known songs, in their own, inimitable, style. This amalgamation of two truly wonderful musicians over the melting pot of one of the greatest songwriters of all time promises to be a unique and powerful experience and absolutely not to be missed.